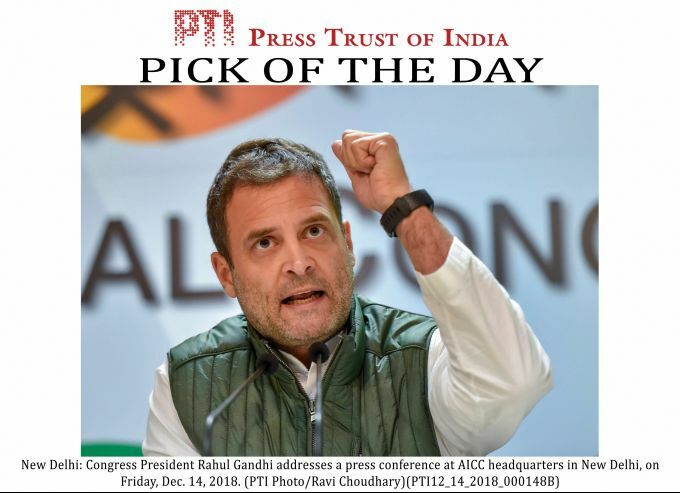 EDS PLS TAKE NOTE OF THIS PTI PICK OF THE DAY:::::::: New Delhi: Congress President Rahul Gandhi addresses a press conference at AICC headquarters in New Delhi, on Friday, Dec. 14, 2018. 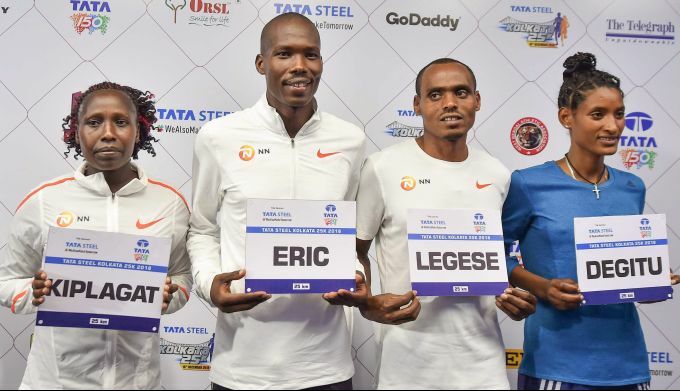 Kolkata: From left- Marathon runners Florence Kiplaga, Eric Kiptanui, Birhanu Legese and Degitu Azimeraw during an interaction with the media ahead of Tata Steel 25K Run, in Kolkata, Friday, December 14, 2018. 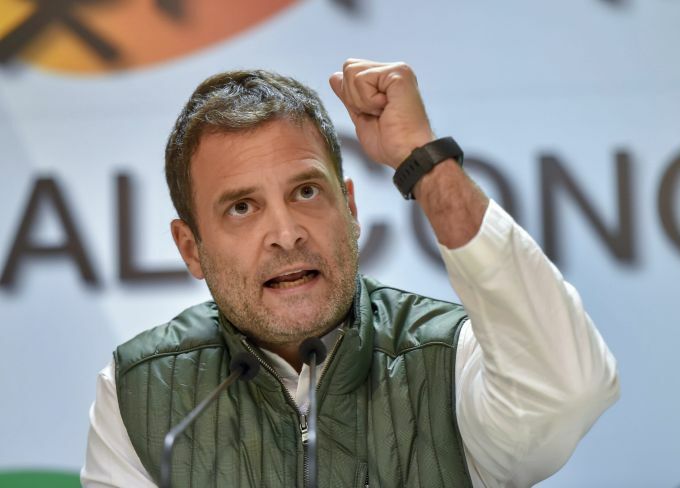 New Delhi: Congress President Rahul Gandhi addresses a press conference at AICC headquarters in New Delhi, on Friday, Dec. 14, 2018. Kolkata: Indian athletes L. Suriya (L), Sudha Singh (2nd L), Avinash Sable (2nd R) and Abhishek Pal (R) interact with the media ahead of Tata Steel 25K Run, in Kolkata, Friday, December 14, 2018.